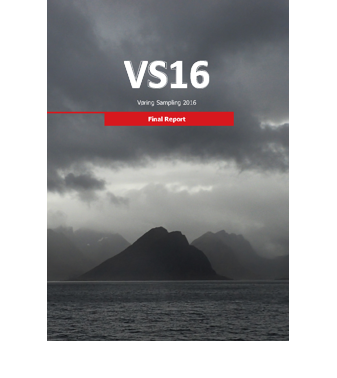 The aim of the VS16 survey was to document a working Jurassic system by identifying oils seeping to the seabed along the outer Vøring Basin. Mature Jurassic source rocks are interpreted to be present within structural highs beneath the breakup basalt successions based on paleogeographic reconstructions and geological evidence. 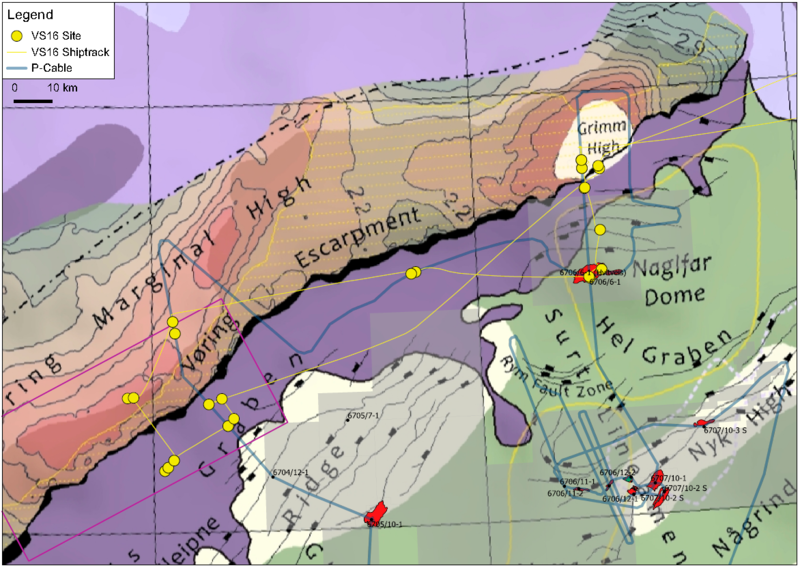 The seep results indicated the presence of seeped thermogenic hydrocarbons in seabed sediments particularly in the Fenris Graben and over the Naglfar Dome, identifying "hot areas" that should be the focus of future exploration programs. VS16 sites and ship track overlaid on the Mid-Norway nomenclature map of Trulsvik et al. (2012). 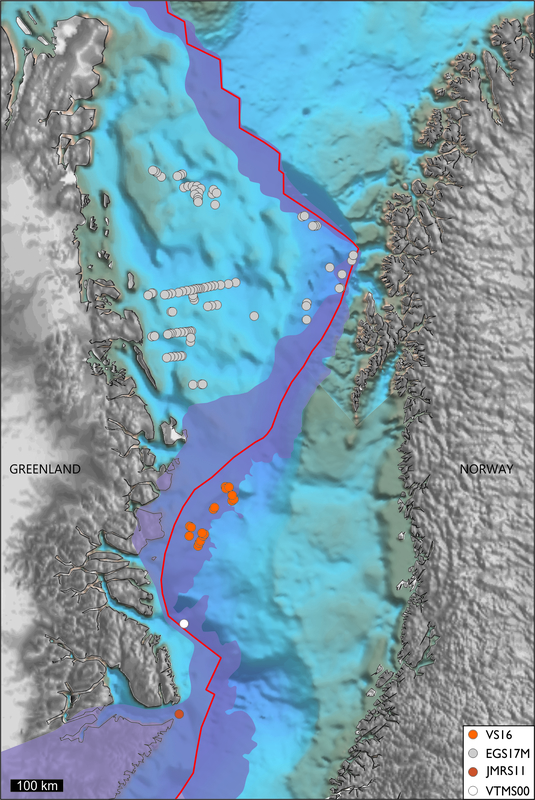 (map after Trulsvik et al. 2012).